Naomi Osaka kept her Indian Wells Open title defence on track with a straight-sets win over Danielle Collins en route to the last 16. Osaka was pushed by Collins but the world number one and top seed had too much power as she claimed a 6-4 6-2 victory at the WTA Premier event on Monday. Next up for Japanese star Osaka is 23rd seed Belinda Bencic for a place in the Indian Wells quarter-finals. Collins enjoyed a run to the Australian Open semi-finals in January and the combative American took the match to Osaka. Despite being broken in the third game, Collins responded immediately in the very next game to put the set back on serve. Osaka, however, broke again in the ninth game and it proved decisive as she served out the set, much to the frustration of Collins. 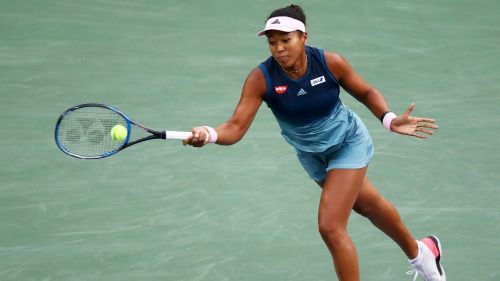 Collins – despite her best efforts and saving a match point – was unable to keep up in the second set, with Osaka breaking twice to close out the third-round contest.